If anyone has been to FabMo, they know about the treasures that await them. 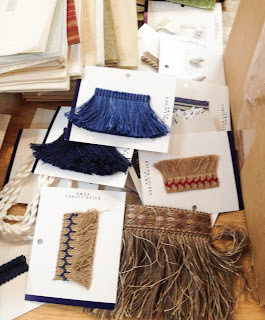 On Saturday, FabMo took over Ruth's Table and SF Etsy team members were in full force, ready to give these discarded fabrics and design showroom samples to fellow crafters. 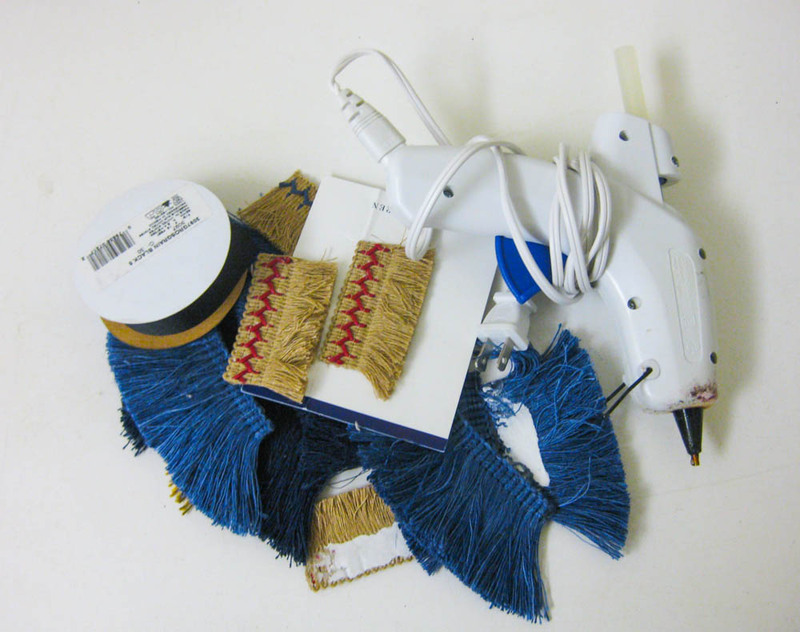 I was enchanted by a random box of ric rac and fringe. It was begging to be made into something, but what? With help from Rebecca Saylor of OodleBaDoodle, I had it...garland of course! You can use it as an eye-catching piece for your next craft show or a fun decoration at your next party. Not only will you tell people that you made it, but you get to brag that you saved it from the landfill for almost nothing. 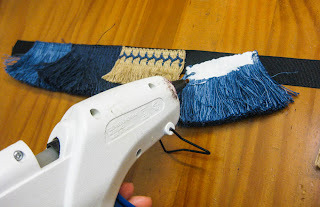 Remove the fringe from the cardboard or material is attached to. Be careful not to damage it in the process. Depending on how it is attached, using the steam setting on your iron can help you with this process! 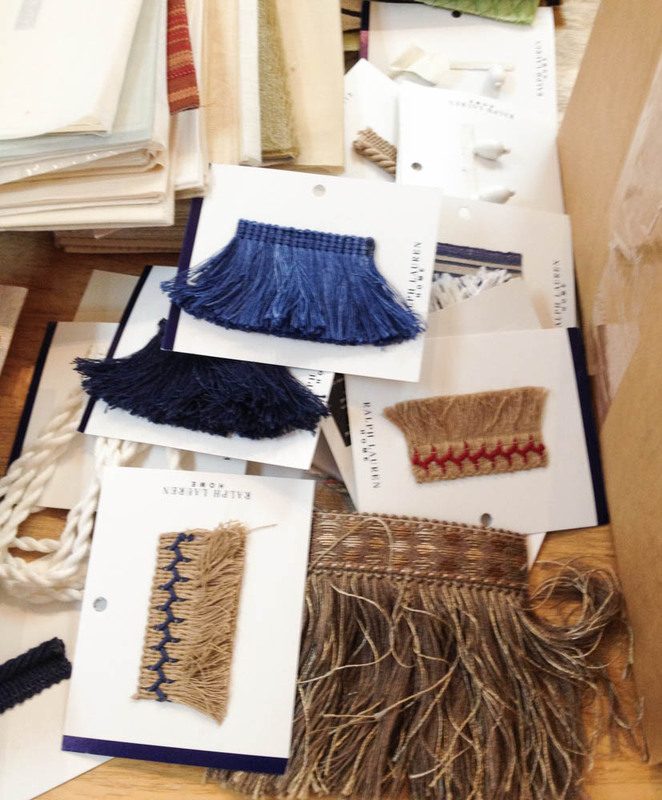 Arrange the fringe pieces in a pattern you desire. To add more fun, you can include beads, glitter paper, or streamers on your garland. Warm up the glue gun and go to town. 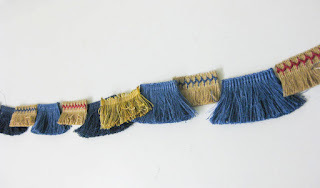 Glue the back of your fringe to your ribbon until all pieces are attached. Once everything is glued and the glue strings are removed, it's ready to be displayed!